The North Carolina Children’s Book Award Committee is proud to announce that Quit Calling Me a Monster, by Jory John and Bob Shea, was the picture book winner, and Wish, by Barbara O'Connor was the junior winner for 2018! Much thanks goes to everyone who participated this year! 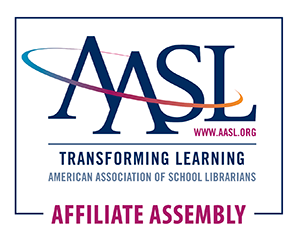 This program is sponsored by NCSLMA and the Children’s Services and School Librarian sections of the North Carolina Library Association. Voting directions are posted each fall. The picture book category honors a picture book, suitable for lower elementary aged students (K-3). This award is intended to broaden students' awareness of current literature for youth, to promote reading aloud with students in the early grades as a means of introducing reading as a pleasure, and to recognize and honor children's favorite books and authors. The purpose of the junior book category is to encourage students in the upper elementary grades (4-6) to become better acquainted with noteworthy writers of contemporary books, to broaden their awareness of literature as a means of personal satisfaction and as a lifelong pursuit, and to give recognition and honor to their favorite books and authors. A committee of public librarians and school librarians work together gathering nominations, promoting the program, reading the books to children, sharing related activities with children, selecting titles, and sponsoring the voting for the North Carolina Children’s Book Award program each year. Children throughout the state vote during the month of March for their favorite book from the nominated lists. Winners from previous school years are listed at nccba.blogspot.com. These awards are presented annually during the fall NCSLMA conference in Winston-Salem.